Transformational 3 part broadcast, free of charge. The last quarter of this powerful 2012 time offers you a unique opportunity to Let Go - completely. Surrender into the moment. Accept what is. Forgive completely. Trust yourself fully. Open to Love. Many people are at an important crossroads, a pivotal moment in their Awakening process. Will they let go and trust? Or will they doubt and fall back into the old patterns? Will they open their hearts and move forward? Or will fear block them, keeping them stuck? Will they have the courage to listen to truth in the quiet stillness? Or will they instead listen to the negative self-talk, the angry shouts of the past; the regrets, abuse, violation, manipulation, suffering and greed of yesterday? Avoid being distracted by worries, thoughts and judgements about what others may, or may not do. This is your 2012 moment, on your journey, at your crossroads, making your choice. 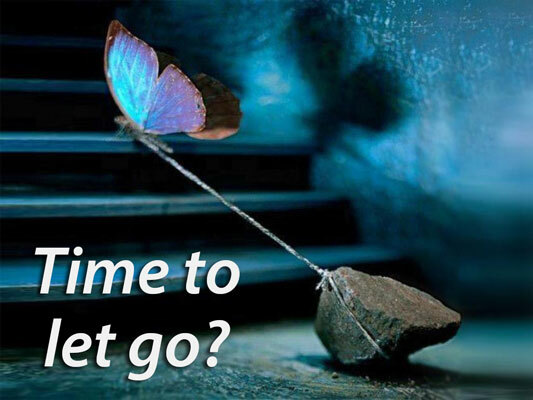 Are you ready to let go completely into You? The purpose of this time is to help you release all that no longer serves you. Drop the façade, the baggage, the illusion, the mask, the shadows of the past, and instead come fully into your essential self – the you, you came here to be. This 3 part broadcast will motivate, inspire, uplift and support your personal evolution. Unmissable!